Earlier this month it was announced by a super group of Shell Lubricants, PepsiCo, the North American Council for Freight Efficiency, and the Carbon War Room that in September they will begin what they have described as a road show lasting three weeks in an effort to measure the fuel economy of different available technologies in an attempt to show the effects on efficiency in “...real trucks on real roads”. While it may still be around five months until they commence, the project has been referred to as “Run on Less”. Together, these sponsors plan to come together in order to show exactly how different technologies, which are currently available, may or may not have different outcomes when it comes to fuel efficiency. While it is a noble cause, the implementation of such a project may sound difficult, but Run on Less has a solution. Six to ten Class 8 semi trucks will begin in different parts of the country, each equipped with fuel efficiency technology and then all ride to the same destination, which will be the first North America Commercial Vehicle Show located in Atlanta, Georgia. What may be most interesting about this venture is the fact that the involved trucks will not be testing just one specific technology. Instead, each of the trucks will operate a different technology in order to provide a basis of comparison. More or less, this is an experiment to see how well currently available, market ready fuel efficiency technologies perform against each other. Though that is an interesting idea, the Run on Less team does have a main objective – they want semis to achieve at least nine miles per gallon. Though the details have yet to be nailed down as they are still accepting applications for prospective truck driving job positions, they expect to see a wide variety of different technologies. When the semis do reach the show, they will display what progresses the trucks have made along with the carbon emissions and amount saved. One very interesting aspect about the Run on Less campaign is that these factors will also be available in real time through their website. What may be most important about this experiment is that there are no winners as well as no losers – it is just to compare the technologies that are out there as well as provide a basis as to how current technologies can be improved. One of the technologies they mentioned they might see are 6x2 axles. 6x2 axles are not a new development within the trucking industry or within advancements for fuel efficiency practice, yet they have not become exceptionally popular. According to many sources, merely switching from a regular axle configuration to the 6x2 can lead to a fuel reduction use of up to 2.5 percent. While that does not seem like a substantial amount, it takes a mere 20 months for the 6x2 axle configuration to pay for itself. While Shell and Pepsi are more than just household names, many people are not familiar with either the North American Council for Freight Efficiency (NACFE) or the Carbon War Room (CWR). According to the NACFE, their main objective is to double the efficiency of trucks throughout America. In order to try to obtain this goal, the NACFE tries to provide more information to the public about available fuel saving technologies in a successful way as well as informing drivers, fleets, and the interested public about the successful adoption of said technologies. While the NACFE may have fairly vague plans and ideas, they do assure they have a driver's trucking job in mind, going so far as stating trucks directly relate to the fabric of our society. Saying that, they also feel that trucks suffer from a sort of snowball effect in the idea that as the United States sees a higher demand for trucks and delivery, more miles will be traveled by said trucks meaning more diesel will be needed and therefore consumed, leading to the fact that the need for better fuel efficiency will reach a higher level than ever. Unlike several companies and groups involved in the idea of fuel efficiency, the NACFE realizes that the current economy faces issues of stability and this leads to the need for real solutions for the real world. NACFE states that they remain both technologically and politically impartial much due to the fact that they do not sell or promote specific technologies, but instead want to see a safer, more efficient, and always profitable industry. To do this, the group follows seven guidelines: 1.) Define efficiency measures steadily for those involved in the trucking industry. 2.) Build and keep an accessible database of information. 3.) Rate technologies in an accredited way of testing and providing results. 4.) Develop new practices and provide the best information. 5.) Evaluate and recommend improvements on “configurations and maintenance”. 6.) Educate the trucking industry about what exactly alters fuel efficiency. 7.) Predict solutions for combinations of available technology. While that gives an idea of what the NACFE does, it does not explain how they are connected to the Carbon War Room. That partnership did not come along until 2013. The CWR main objective, on the other hand, is to expedite, “...the adoption of business solutions that reduce carbon emissions at gigaton scale and advance the low carbon economy.” There is no doubt that sounds very ambitious, but it says very little for what the CWR actually is. 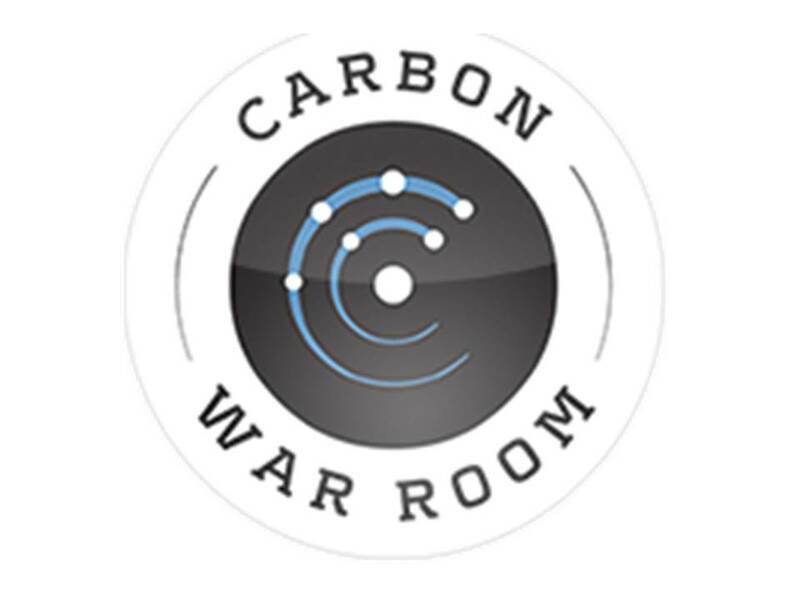 According to other sources, the CWR is a think tank that is not associated with the government who look for ways to help with climate change by providing solutions to the public market. CWR was founded in 2009 by business magnate and adventure capitalist Richard Branson and clean energy entrepreneur Jigar Shah. Their mission was to bring entrepreneurs together to come up with and implement market ready ideas to “climate change and create a post carbon economy”. According to them, they operate on the idea that instead of leaving progress on carbon solutions up to politicians, it should be left up to “visionaries” who are more concerned. The CWR finds their funding to reduce energy through interested individuals, corporations, and foundations. As mentioned earlier, the semis who participate in the Run on Less program will all meet together at the first North American Commercial Vehicle Show. Many at this point may be asking exactly what that is. Like most trucking industry shows, such as GATS in Texas, it will be a place for manufacturers of vehicles, parts, and components to come together to showcase their products to a prospective 10,000 people. On the other hand, this show differs from many that the industry is used to because of the simple fact that it is only open to trade visitors and media representatives. Run on Less is no doubt an interesting campaign to introduce into the trucking industry. Not only does it show multiple organizations coming together to see what can be done to increase fuel efficiency with semis, but it also shows that it is not only governmental agencies taking the lead. In a time where companies are constantly introducing new fuel saving technologies without much word on how they will perform, it is a fresh idea to seek out experimentation on technologies which actually exist and provide the finding the individuals and the individual's trucker job that will be directly affected.